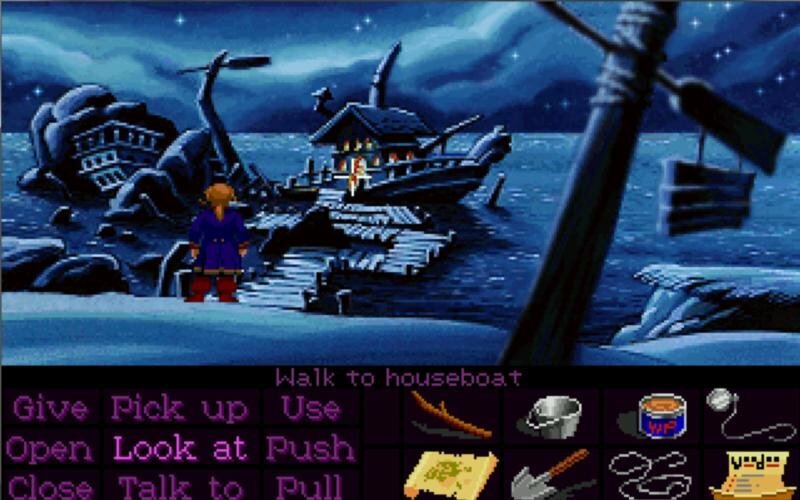 The animation style, well-written story, humor and witty dialogue made Monkey Island a classic. 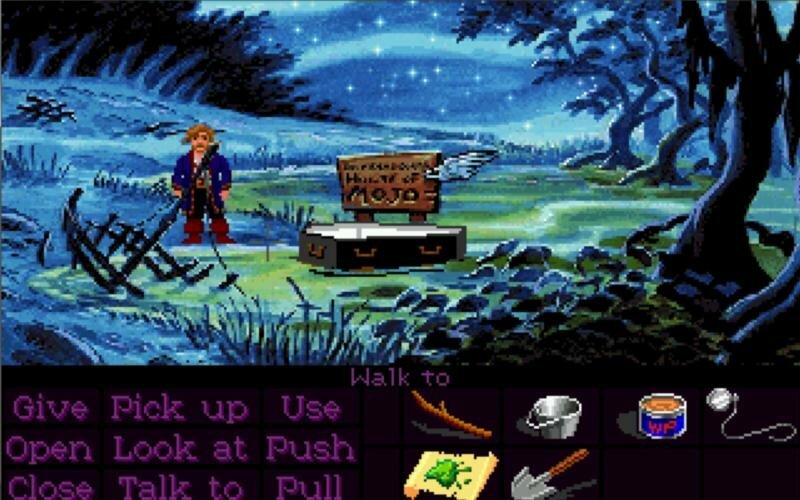 The sequel continues the story of the first game, with lovable pirate Guybrush Threepwood now being on the hunt for a mysterious treasure after defeating the evil ghost pirate LeChuck. 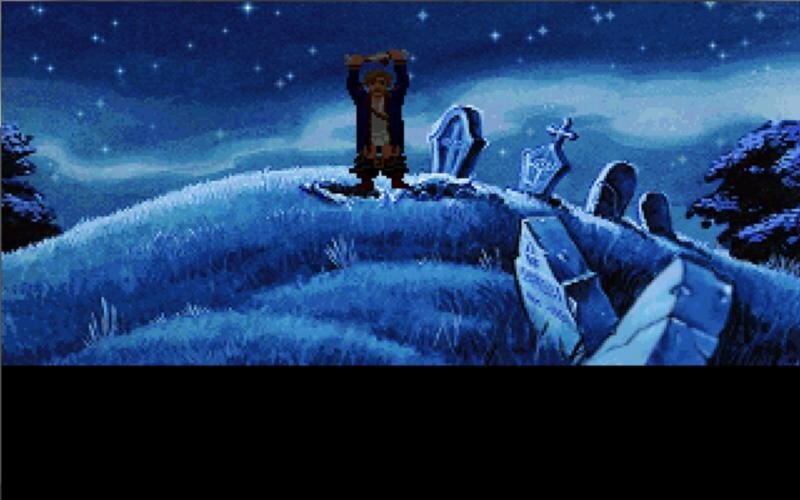 But all is not well. 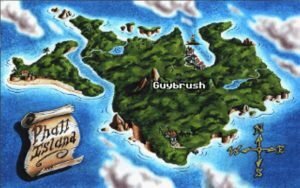 LeChuck’s former right-hand man, Largo LeGrande, has taken control of Scabb Island and is preventing the pirates from earning a dishonest living there. 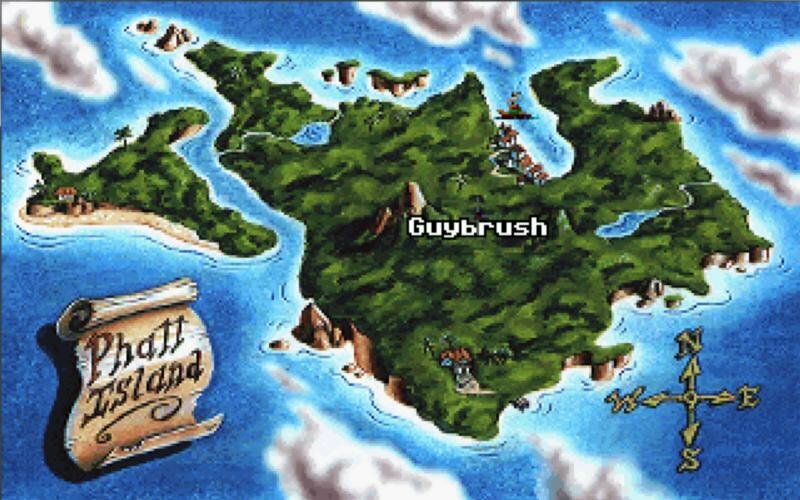 Our hero must outwit him before he can charter a ship. 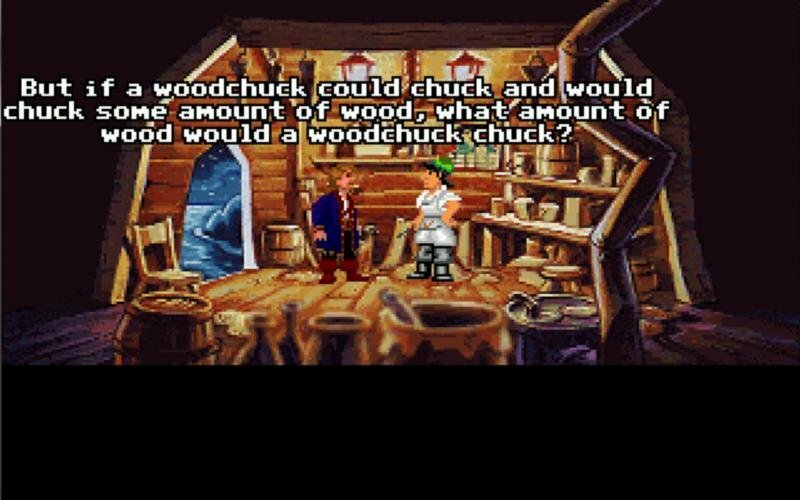 This is the game that features the notorious Spitting Contest and the deep philosophical discussion over how much wood can a woodchuck chuck if a woodchuck could chuck wood. 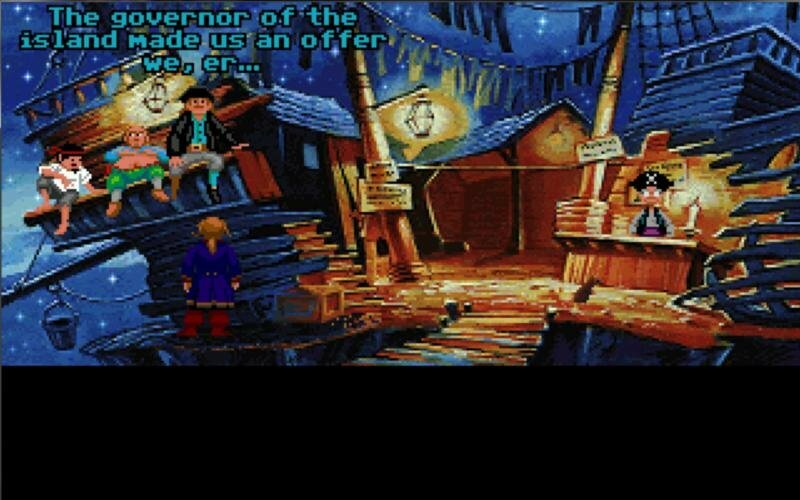 Guybrush will meet and interact with old faces. 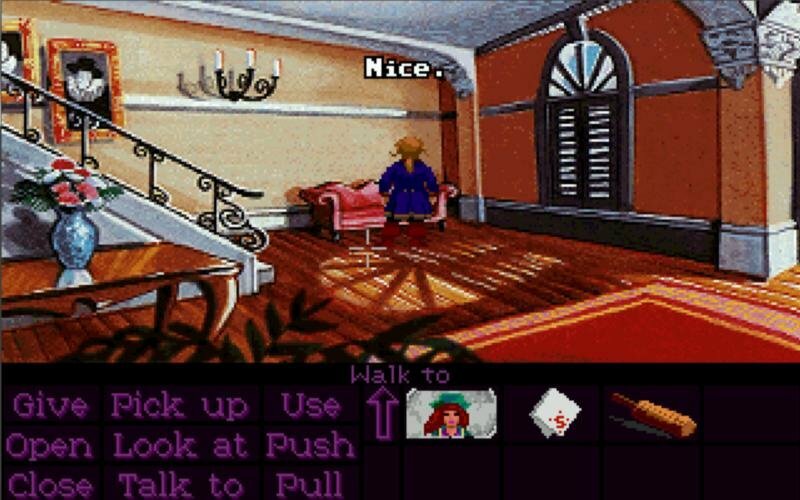 Stan, now switched from used ship salesman to used coffin salesman (yikes! ), is back and more comical than ever. 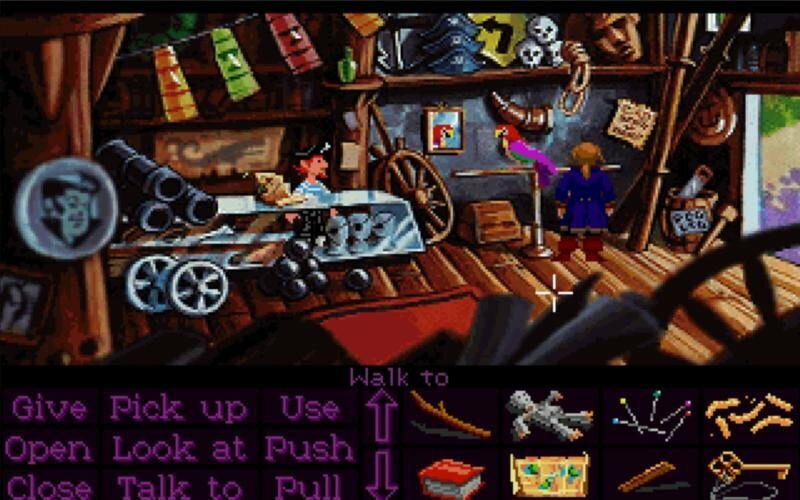 The ‘men of low moral fiber’ are back on Scabb with their rat, and so is Elaine and (of course) LeChuck from the first game, whom you will eventually meet later in the game. 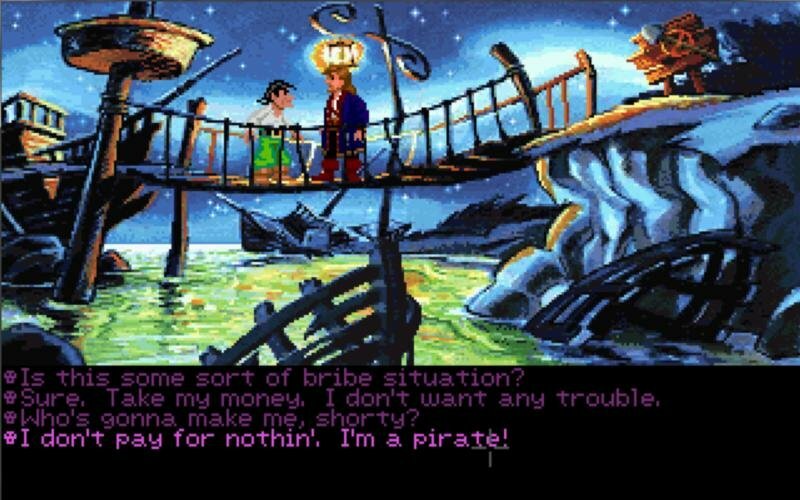 As with all the Monkey Island games, the interesting assortment of zany characters make it a joy to play. 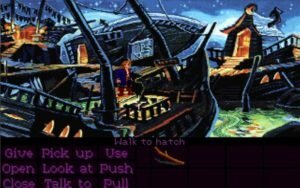 Monkey Island 2 was released only a year or so after its predecessor, The Secret of Monkey Island, then fans had to wait an anxious seven years before the third game, The Curse of Monkey Island, appeared. 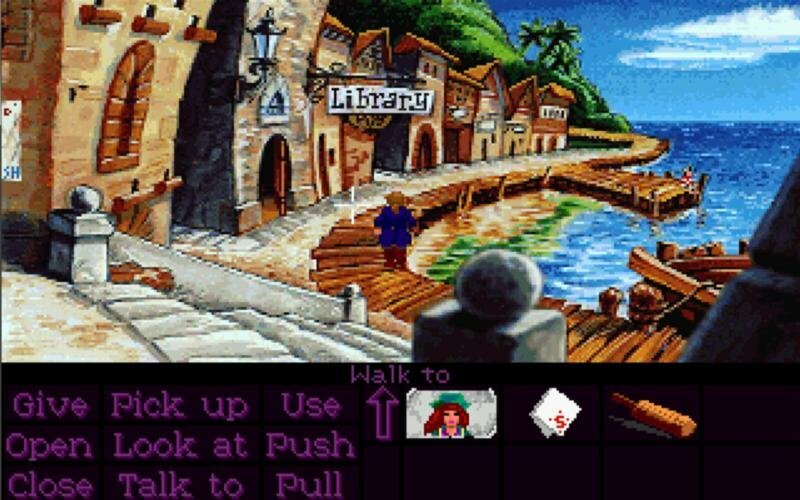 Graphically the first two games are similar and use the same interface where commands are built up by choosing from a verb list at the bottom of the screen. 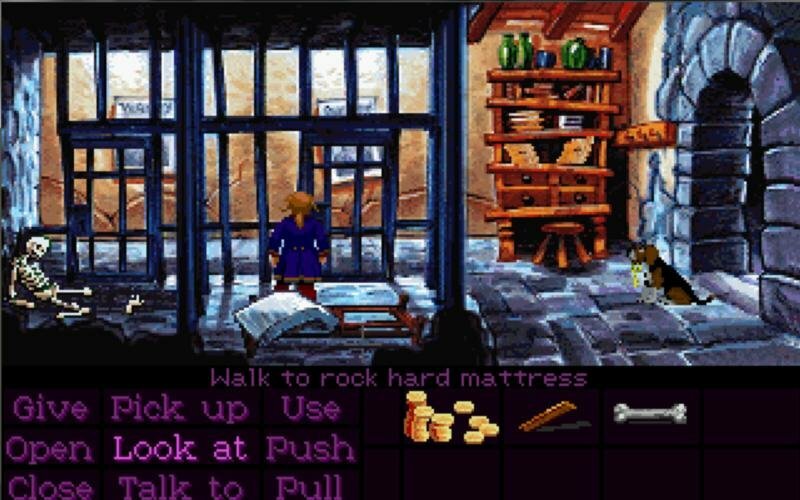 Many of the commands have a default setting so that clicking on an object in the game world or inventory enables Guybrush to ‘look at’ it and offer a description or comment. Certain items also have an alternate command so you can simply right click to use them rather than consulting the verb list. 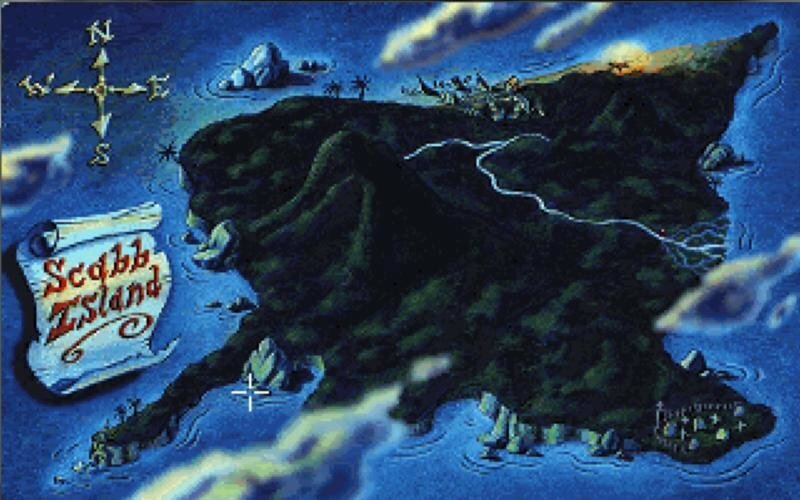 Although, you do need to explore other actions occasionally or you might miss something important. Navigation is simple, just point the cursor to where you want Guybrush to go, then click. 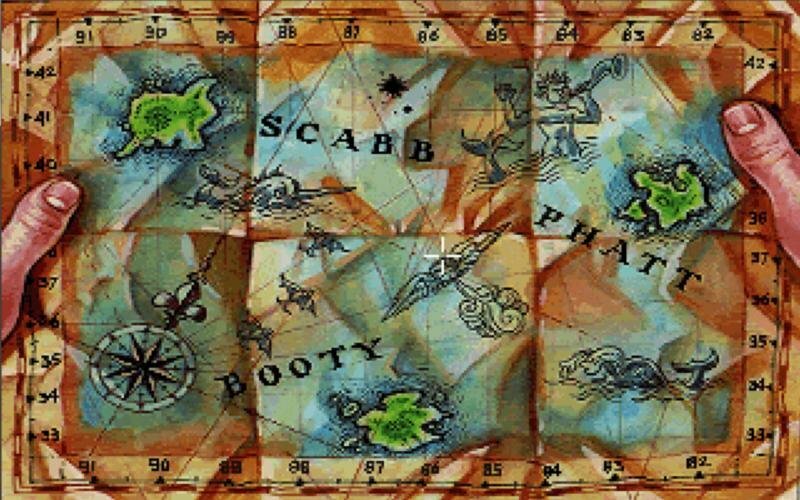 The puzzles contain a good balance of difficulty. 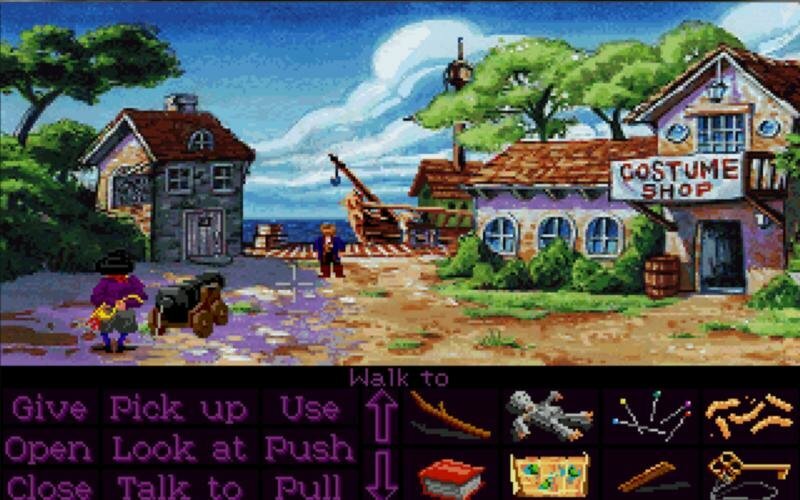 Time hasn’t been kind to the pixelated screens so those who crave the latest graphics may be disappointed unless they care to buy the high-res remakes, but for sheer fun and immersion through giving the player much to do and think about, and laugh about, Monkey Island 2 is hard to fault.